Our professionally designed marketplace themes are customizable, so it’s easy to create a benefits communication and enrollment ecosystem that’s as distinct as your client. 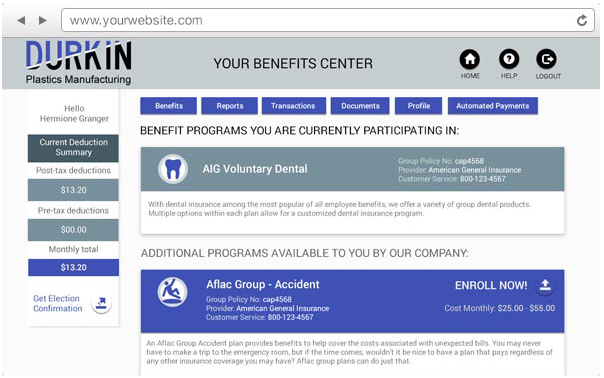 Plus, every site is optimized for mobile devices, so participants can easily discover their benefit options, whether they’re on their computer, tablet or smartphone. ExchangeBuilder lets you create captivating and potent benefits delivery environments. You set up and configure your own custom benefits delivery environment influencing the style, content, products and launch date. Our Paylogicians work night and day through live chat, email, telephone, and forums to answer your questions. Optional service terms give you more control. Pay only for what you need, when you need it. We welcome new exchanges every day; from small businesses, associations, and PEOs, to large companies. Our innovative technology makes it simple for every agent and every client to get online with a potent, professional and purposeful benefits marketplace. 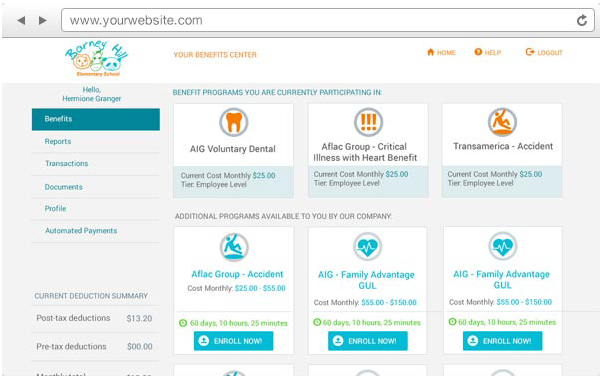 No creative limits, no coding – just complete autonomy to tailor and manage the communication, education and enrollment of benefits online. 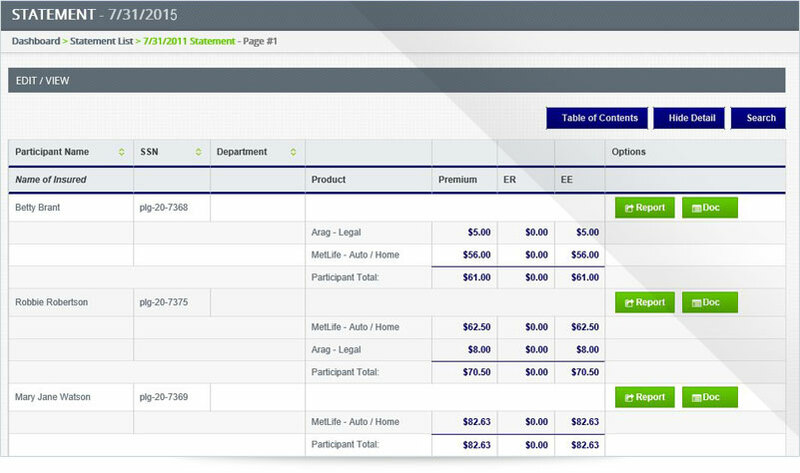 Our customizable design options, Premier Partner product choices and Consolidated Biling® service enable you to create a unique benefits delivery ecosystem from promotion-through-payment while keeping you informed and in control. Brokers, agents, enrollers, and other insurance professionals can effectively promote, educate and enroll their products with uniform consistency. Compliance is baked-in with SSAE 16 audited business processes performed via licensed and bonded third party insurance administrator. You design it, we host it. 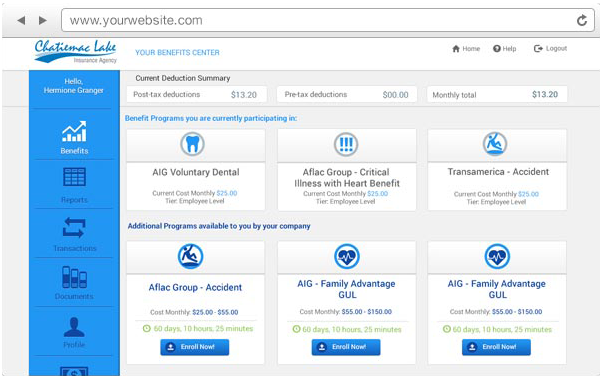 Create a virtual benefits market where employees or members are able to learn about and shop for insurance, compare benefits and prices, and choose a plan that best suits their needs. Consolidated Billing® is the presentment of multiple products in a single billing statement. This may include multiple products from multiple benefit providers. Our back end processing features a real-time medium for payment and premium processing, plan administration and secure data management, allowing you to offer a unique and valuable service that spans from promotion-to-payment. Our Premier Providers offer an array of top tier benefits with simple drag-n-drop efficiency combined with automated backend data processing including Consolidated Billing® . Compliance is baked-in with SSAE 16 audited business processes developed and performed via licensed and bonded third party insurance administrator. In this technologically advanced world, we allow people to access their benefits anywhere with our mobile browser friendly website. 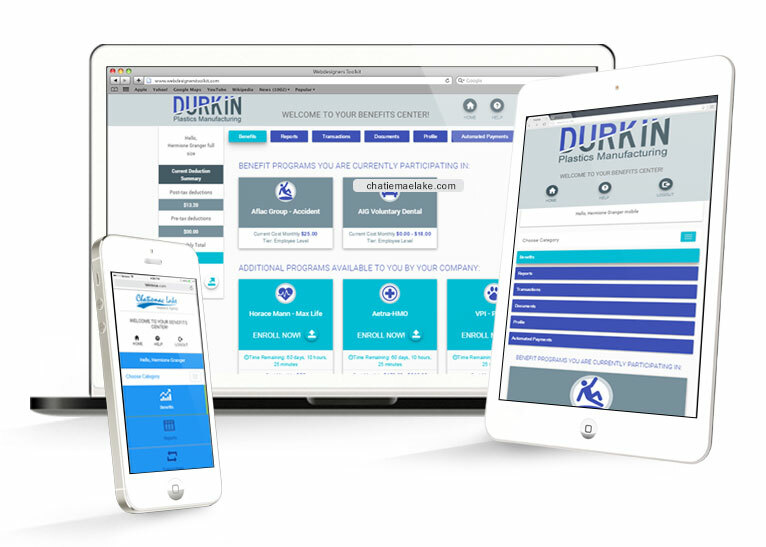 We employ responsive design to make sure your benefits marketplace fits in the palm of your hand as well as on the desk top. Our 24/7 real-time client dashboard gives you complete transparency and oversight of your accounts. We supply the analytics and historical data harvested from enrollment activity and payment records to assist in trending performance so that you stay informed. We take security seriously. 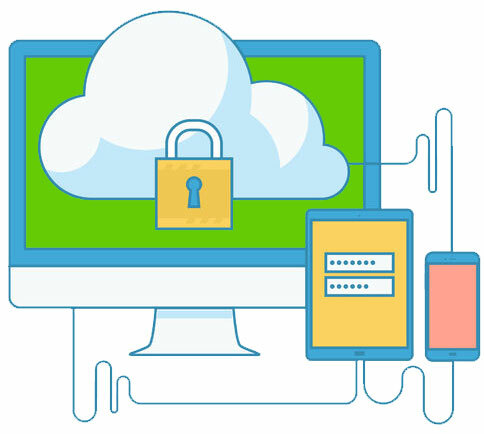 We have a in-depth approach to security, with firewalls, intrusion detection, rigorous software quality assurance, and vulnerability assessments. Our dedicated operations team monitors all hosts and services for integrity and availability, 24 hours a day, 7 days a week.